We at Walk With Sally are beyond privileged to call this woman a member of our community. She is an incredible mentor and has given back in a number of other ways beyond just that, this is why we felt she had to be honored as this year’s Mentor of the Year. Paulina joined Walk With Sally in 2017 while she was searching for a way to give back to a charity dealing with cancer in her own community. She stumbled upon our mentoring program and knew she could relate to mentees as another young person who has lost a loved one to cancer. On July 28, 2017 Paulina was matched with Arleth, a 9 year old girl whose mom had been battling lung cancer and was looking for a mentor to spend time with who could better understand what cancer meant. Their inseparable bond began forming from that first meeting. 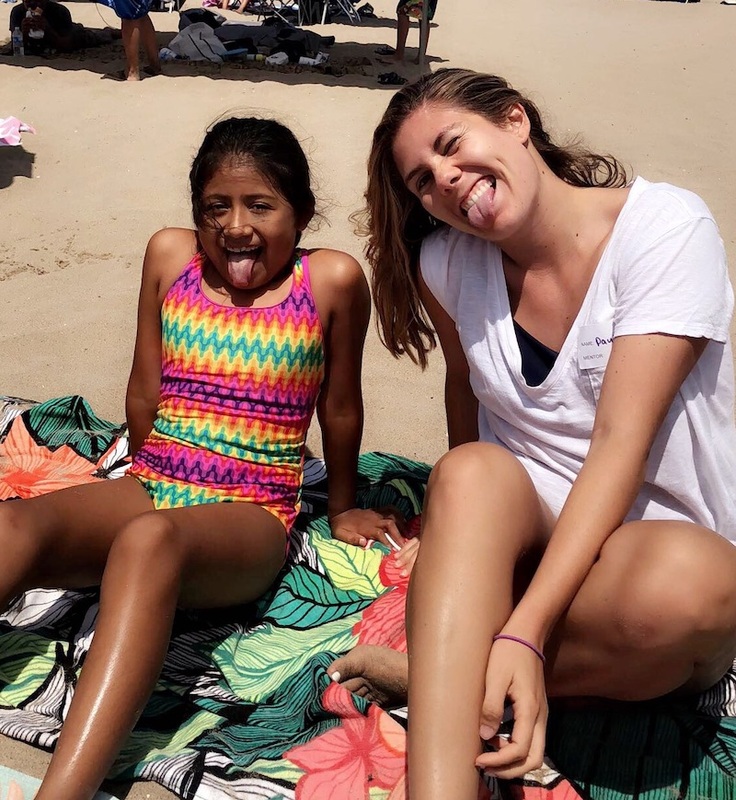 Throughout their time together Paulina and Arleth have become a constant fixture in our community by participating in everything from HeArt To Home to Surf Day. This friendship has laughed together during our Friendship Activity at Mulligan’s and dressed up for our Friendship Bowl. 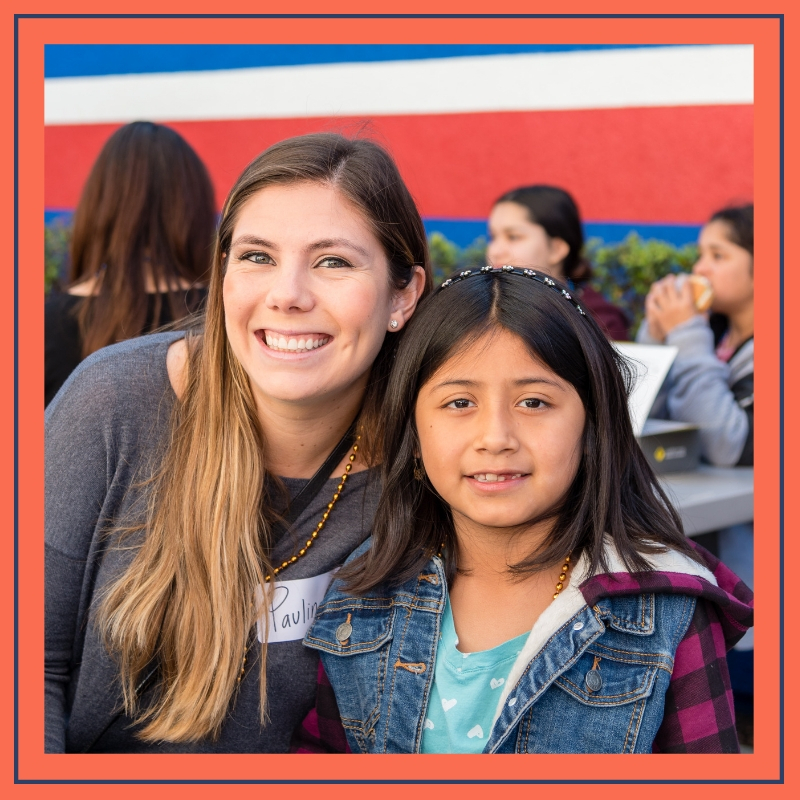 In fact, Paulina went above and beyond the call of duty as a mentor and fundraised to help support our programs during our annual Friendship Bowl campaign. She’s even attended White Light White Night and became a member of the FTK Social Club all while maintaining her important monthly communication with Walk With Sally staff to ensure her friendship with Arleth is thriving. Thank YOU Paulina for being an outstanding member of our Walk With Sally community. These are all of the reasons, and many more we couldn’t put in this short post, why you were selected as our 2019 Mentor of the Year! If you or someone you know is interested in making a difference in a child’s life who has been impacted by cancer, click below to get started on your path to becoming a mentor like Paulina. Just 6-8 hours a month could mean the world to a child like Arleth. This entry was posted in Impact Stories, Mentors & Mentees, National Mentor Month and tagged 2019, Arleth, friendship, Mentor, Mentor of the Year, Paulina. I it’s a very touchy story I hope everything goes well with Arleth and her family; I thank walk with Sally for have people like Paulina, and Mike and all of the other mentors who helped us to deal better with this pain just to have thoes thoegh of leaving your kids in this world by their self it’s very scary that’s why I thank walk with Sally one more time.